The SR 29 PD&E Study began in the summer of 2007. The development and evaluation of the widening alternatives and potential alignment(s) that avoid downtown Immokalee are underway. 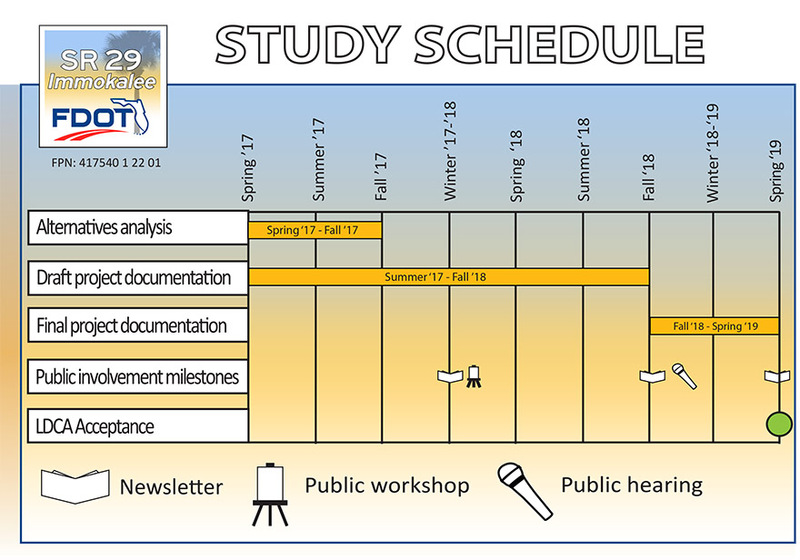 The PD&E Study is anticipated to be complete in Winter 2018-2019. Alternatives Public Workshop is tentatively scheduled for August 22, 2017.